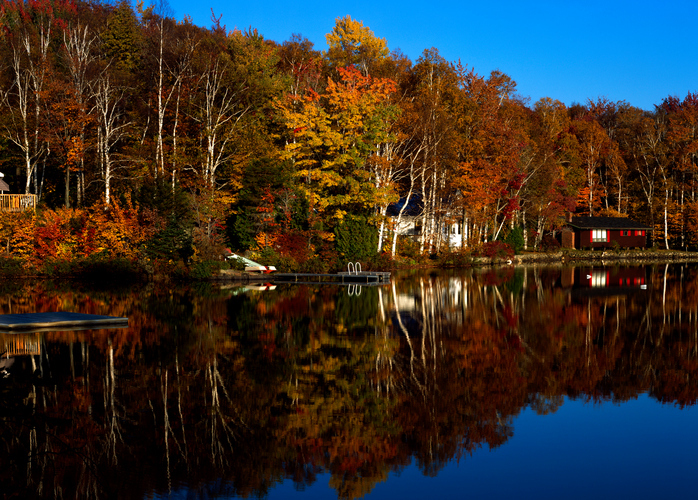 Cottage-closing season is an annual tradition for many Canadians. There are many opinions about the best way to close a cottage safely. But whether you are closing and winterizing a foundation cottage, a tiny house, an RV, a mobile home, or another dwelling, you will want to make sure to do certain things to prevent airborne toxins from invading and gaining a foothold while you are not on premises. Here at Clean Air Solutions Hamilton, we know that spring all too often delivers some nasty surprises when our clients show up to open their seasonal dwelling again. To help you avoid airborne and structural toxicity, we have put together a short list of recommended preventative measures. The first step in crafting a plan to reduce or eliminate the threat of toxic air buildup in a seasonal dwelling is to identify the major potential threats. The second step is to put protections in place to guard against each issue. Here are some of the most common issues that plague seasonal cottages, cabins, campers, and other similar dwellings, and easy fixes to ensure your seasonal dwelling is protected. Critters, like people, get cold in the winter. They also get hungry and tired. An unoccupied seasonal dwelling can become a haven for the most unlikely houseguests, who will leave behind very unwelcome calling cards such as parasites, mites, bacteria, fleas and ticks, shed skin and fur, excrement, and even dead relatives. It is hard to predict the impact of critter occupation during the winter season. For this reason, the best approach is always one of prevention. What to do: Seasonal cottage owners call this the EMG, or Everything Must Go, phase of winterizing a seasonal dwelling. Simply put, take everything out. Don’t leave food—even canned goods—or if you do, the only safe storage space is a large, lidded metal canister. As best you can, cover or remove soft linens, blankets, pillows and cushions, and other things critters could eat or burrow into. Roll up mattresses if possible and remove or store in an impenetrable place. Close chimney flues, put mesh over exhaust vent openings, and seal up cracks and openings in crawl spaces and around the foundation. Open boxes of mothballs can also discourage mice and rats from taking up residence in empty spaces. Then take one final look as if you were a shivering, hungry critter, and take any extra precautions to ensure your home looks as inhospitable as possible. Insects, like critters, will readily take advantage of any sheltering spot in inclement weather. Like critters, they may leave behind plentiful evidence of their temporary occupation, from a flea infestation to crawling colonies of ants, spiders, or worse. What to do: Follow the procedures for keeping out critters (see above). Also consider having a pre-closing pest control treatment or sprinkling boric acid around the baseboards to discourage many-legged boarders from remaining. Humidity is not the first hazard that springs to mind during the cold season. Traditionally, humidity has been more associated with summer. But the ongoing rain, ice, sleet, and snow of winter weather can produce excessive humidity as well. Along with the damp, this provides a welcoming environment for mould and mildew to grow and proliferate. What to do: Seal, caulk, insulate, and weatherstrip so there is little chance of humid air or moisture getting inside. Place canisters of salt or anti-humidity packets around the inside of your dwelling to soak up moisture. Standing water can create a whole host of difficult cleanup hazards. The first and best-known is the tendency of water to freeze, swell, and burst pipes, causing widespread damage and potential toxicity throughout the dwelling and surrounding area. But stagnant water can also be a breeding ground for bacteria, fungi, parasites, and insects. In this case, the foul scent of stagnant water is more than just a call for some air freshener—it can be a much bigger cleanup job than many seasonal dwelling owners realize. What to do: Drain the water out of your pipes and then blow compressed air through the system to ensure all of the water is out. Then drain the water out of all appliances and systems, including the water heater, washing machine, and dryer, and any water purification or treatment equipment. *Don’t try to drain all of your pipes and water-based appliances at once, since this could potentially flood your septic field. Rather, do this slowly to allow the field to absorb the excess moisture. Flushing out the septic/sewer system is a critical part of avoiding a spring biohazard site. What to do: Adding some non-toxic RV antifreeze to toilets, sinks, pipes, and traps can further reduce the risk of a sprung leak turning into a burst pipe. Also, make sure not to mow the drainfield area too closely, to help it absorb excess moisture. It is best to consult a professional before deciding to drain a septic, since there is a risk the tank will rise and float when empty. VOCs can be released in any number of ways, whether from plywood that comes in contact with humidity, so-called air fresheners or scented cleaning products that release chemicals into the air, and other hazards. What to do: Do your pre-closing cleaning using only natural baking soda, lemon, vinegar, and water. Thoroughly air out the indoor space before closing it up. Save 20 Percent on IAQ Appliances! Want to snag the latest in indoor air quality control appliances at 20 percent off? Just fill out this simple form or contact us at 905-544-2470!